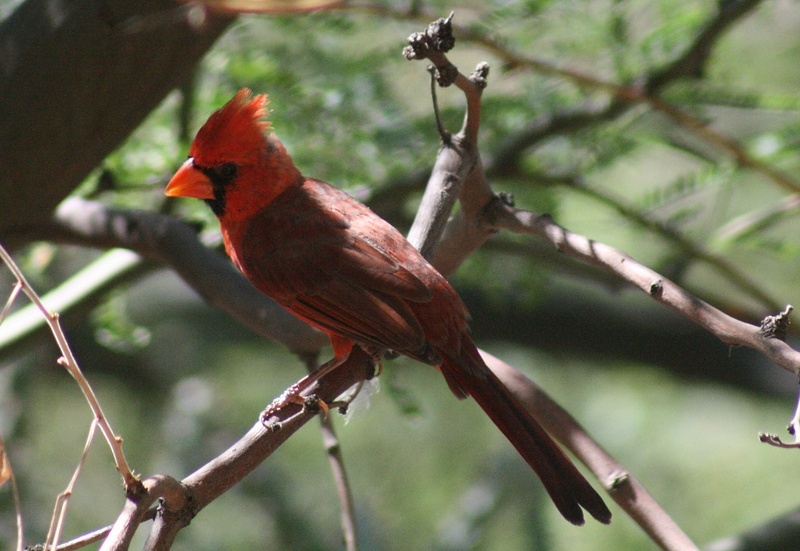 So, I took my DSLR to campus yesterday to try and get a better picture of the cardinal that I've been seeing. I like this picture better than the others I got (with my P&S) but I think I could still improve it. Maybe another trip to campus! My favorite type of bird! Beautiful capture! Very nice, the backlighting makes his bill glow! Great capture! You captured him nicely....love the sun shining on his head and bill. Beautiful shot. Love the colors and shadows. It looks like I could reach out and touch it. Nice shot. Beautiful capture, this is very nice Kerri. Nice shot Kerri, nothing like being free as a bird with the sun on your back ... which is exactly what you captured. I love cardinals and it's pretty cool that you keep seeing the same one all the time. Maybe you are going to have to name him now? Definitely the best. The color really pops, especially against the neutral branch. Love his crest and eye markings. @scott333 I think I will have to name him. I don't know what to name him though. Any suggestions? This is a great cardinal photo! I've been trying to get one, but they are always too fast for me! Wow, beautiful shot! I've chosen this one for the Browse & Pick 21.